A TASK IN WHICH THEY PUT DID,DOES OR DO TO DISTINGUISH BETWEEN THEM. 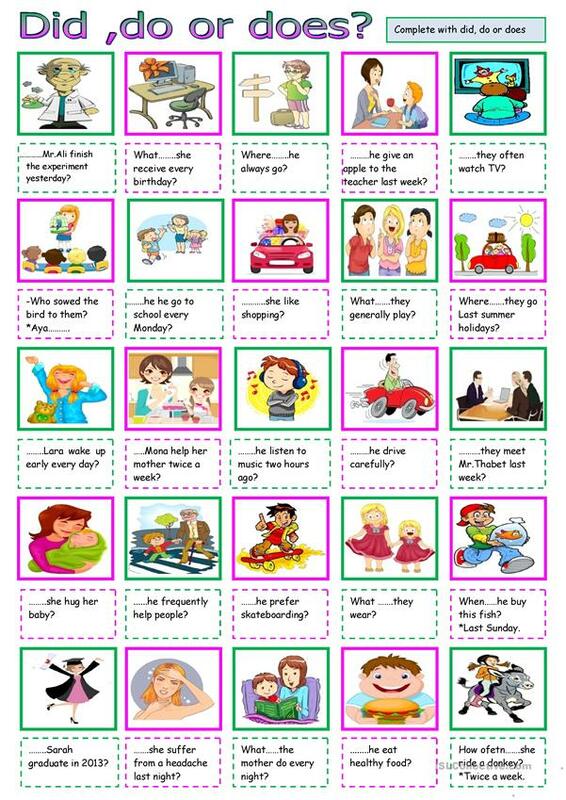 The present downloadable handout was created for elementary school students at Pre-intermediate (A2) level. It is excellent for working on your students' Reading and Writing skills.